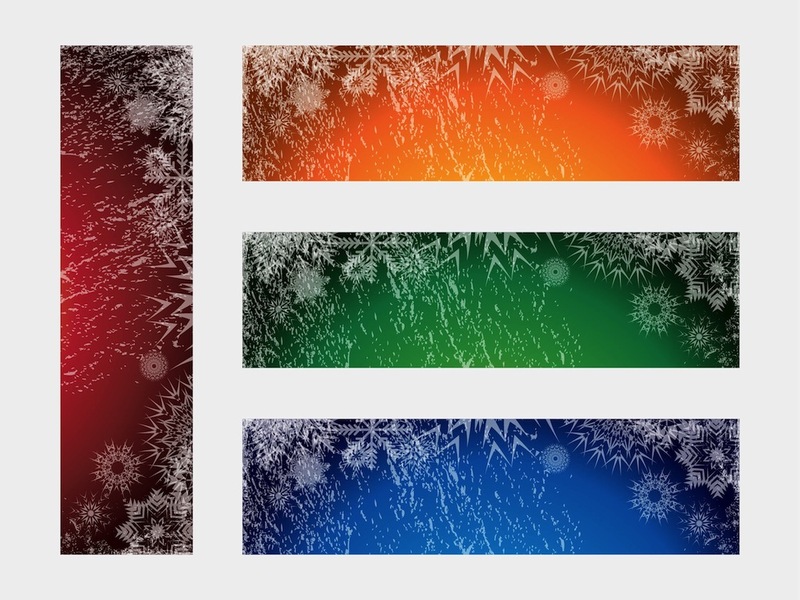 Winter vector graphics of different banners decorated with frost and snowflakes. Frozen vector designs in different colors. Gradient color backgrounds on all the images, snowflakes, frost and grunge scratches for decoration. Free vector illustration for all winter, snow, cold weather and Christmas projects. Tags: Buttons, Christmas, Festive, Frost, Grunge, Labels, Stained, Winter.